Cradled within a true rainforest on the simply beautiful island of St. Lucia, this 210-acre masterpiece estate features the Sunset Ocean Bluff, a resort within the resort, flaunting breathtaking vistas from bluff-top villas with private intimate pools. Indulge in Five-Star Diamond French cuisine and other tantalizing faire from around the world in eight spectacular restaurants. Revel in the island’s largest pool. Inhale the sweetness of flowering gardens. Make it a golf vacation and advance your swing at the resort’s executive golf course. Live a millionaire’s life with your own private butler. At Sandals La Toc, you’re surrounded by glamour and wrapped in the sense of entitlement you deserve. 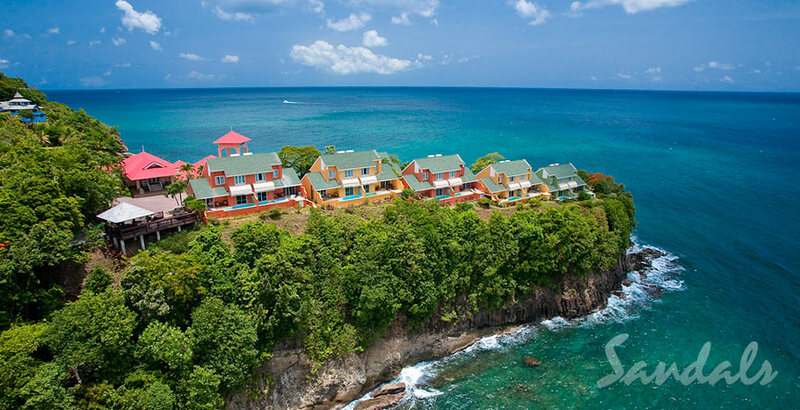 Learn more about Sandals La Toc in St. Lucia.